Resolve to learn online this new year! The Lynda online training library includes over 5,000 video courses – learn MS Office, Computer Programming, Business Skills, Web Design and much more. Did you know lynda.com adds videos to their library weekly! When is the last time you’ve logged in? Make it part of your New Year’s Resolutions to log in and learn. Traveling over the holidays? Make your travel time more productive by downloading Lynda.com courses and learn on the-go, even without Wifi! Enjoy a continuous learning experience, as the app picks-up at any point where you left off – from any device! Whether you’re up in the air, on a train, or in a café, learning offline is now easier than ever! 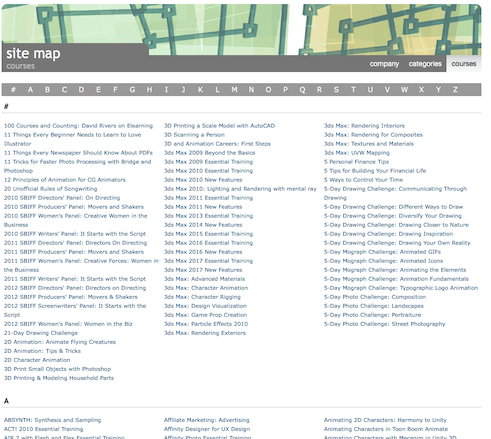 Take a look at the Courses Site Map: https://www.lynda.com/sitemap/courses. Did you know the lynda.com courses extend beyond technical learning? Check out this Duke Today story. Learn IT and more…online this summer! Did you know…you can access thousands of instructional videos on a wide range of software, creative, technical, and business skills through the lynda.com online training library? What are you waiting for? Start learning now! You can stream and watch more than 4,500 expert-led courses right from the comfort of your couch, through your Apple TV. Read the full article online. Duke students, faculty and staff can access of the entire lynda.com online training library anytime, anywhere – 24/7 and 365 days a year through our lyndaCampus site license. For details and to connect, go to: http://training.oit.duke.edu/lynda. Overwhelmed by the thousands of tutorials in the lynda.com online training library? 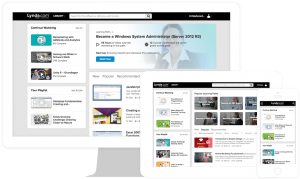 Check out the new Learning Paths feature – a job title focused progression of courses that are curated by content experts. Examples include “Become a Project Manager”, “Become a Programmer”, “Become a Graphic Designer” and much more! 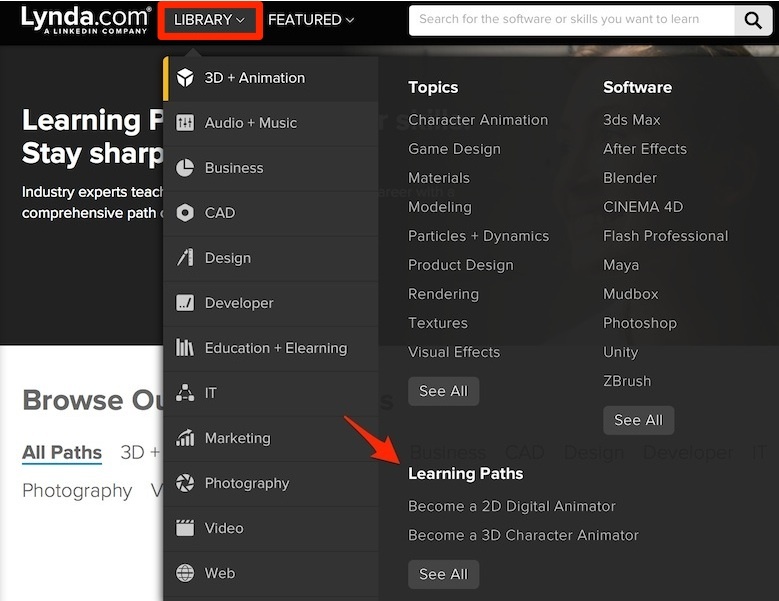 To access Learning Paths: Log into Duke’s lynda.com account, click on Library > Learning Paths. Boost your IT skills through Duke’s lyndaCampus site license. You will find technology topics including: Design, Developer, Photography, Web, Audio, 3D and much more!